Calculate the perimeter of quadrilateral ABCD. Note: Drag the blue points to try different figures. 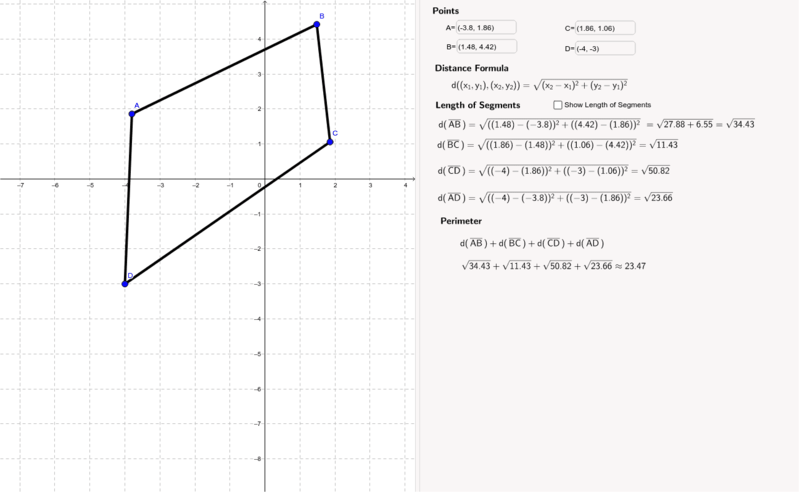 Calculate the length of each side of the quadrilateral using the distance formula. Calculate the perimeter of quadrilateral ABCD by finding the sum of the sides.